Solar power should be available to everyone. This fundamental idea shapes both Sunrun’s business philosophy and the ethical and ideological basis of what we do. Harnessing the sun’s energy is an inherently equitable idea -- one that should be a universal right, no matter who you are. We’ve made huge progress in providing greater access to clean, affordable power through Sunrun’s solar as a service model, where rooftop solar is available for as little as zero down. We’re always looking to improve access to clean energy and that’s why I’m so excited to announce our involvement with the Solar Equity Initiative, a commitment spearheaded by the NAACP to expand access to solar energy in low income neighborhoods and communities of color. Throughout the course of a year, the program aims to achieve four goals: providing solar jobs skills training to at least 100 people; strengthening policies related to solar equity; servicing more than 30 areas in five or more states; and, of course, installing solar panels on 20 houses and 10 community centers. 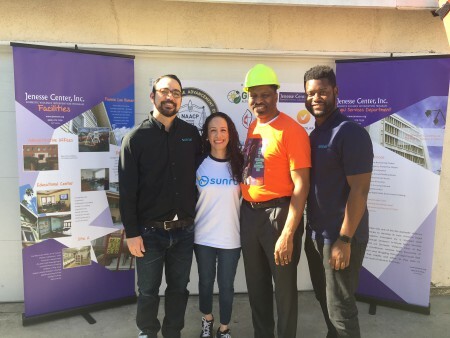 Sunrun has personally committed to 6 of those installs, working with other industry partners that include GRID Alternatives, SEIA, United Methodist Women, Vote Solar, and more. We kicked off the program on January 13th with an installation at The Jenesse Center, a shelter for women and children survivors of domestic abuse. 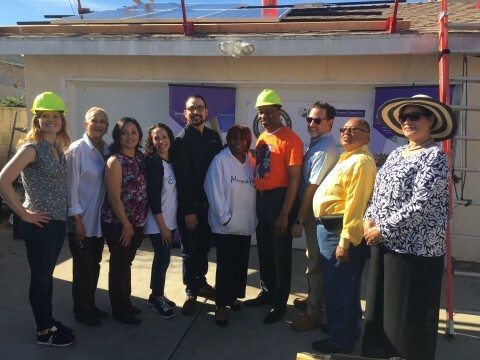 Together with Sunrun and NAACP representatives, women at the shelter helped install panels while learning about the benefits of solar. The Jenesse solar array brings benefits to the entire community, offsetting about 90 tons of carbon emissions, which is the equivalent of taking 17 cars off the road, or planting 2,000 trees. The solar panels are also a financial boon for the Center. We expect to see lifetime financial savings for the Jenesse Center of more than $48,800, allowing the Center to say focused on offering the same life-saving services it has for the last 35 years. The success of this event further reinforced my commitment to the Solar Equity Initiative and other environmental justice opportunities. A new study from the Clean Air Task Force and the NAACP found that although disadvantaged individuals consume the least energy on a per-capita basis, they are disproportionately impacted by pollution from fossil fuel energy production. Individuals can suffer from both short and long term health complications, such as asthma, allergies, and cancer, and have higher mortality rates. In fact, 138,000 asthma attacks leading to over 100,000 missed school days annually can be attributed to the oil and gas industries. With compromised immune systems and limited resources, it’s much less likely that the men, women and children in these communities will find lucrative educational and career opportunities, trapping them in the ongoing cycle of social and ethical injustice exacerbated by climate change.